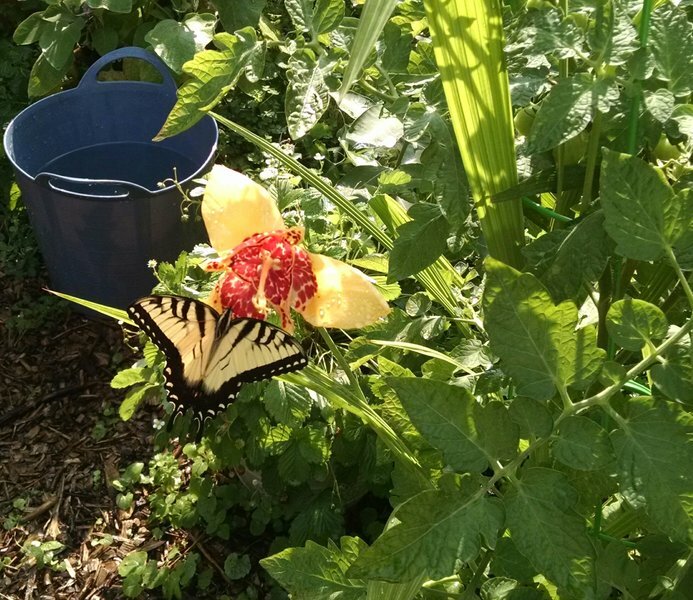 Tigridia pavonia (a summer bulb) seems popular with the butterflies, including this tiger swallowtail. They also visit the many A. syriaca that we allow to come up everywhere. We also have tropical milkweed which we grew for places where invasive natives would be a problem. 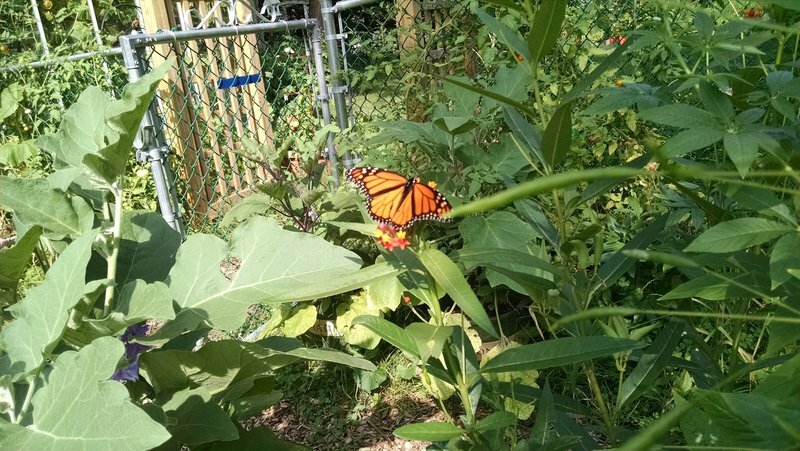 Monarchs have been using both of the milkweeds.